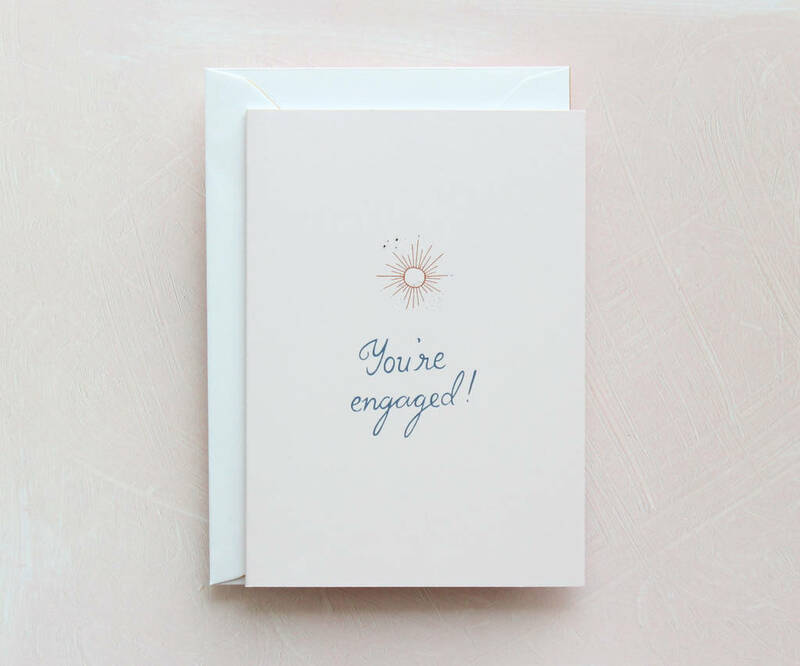 by Sonni & Blush Paper Co.
Greeting card collection from Sonni & Blush. Inspired by radiance, femininity and classic design. 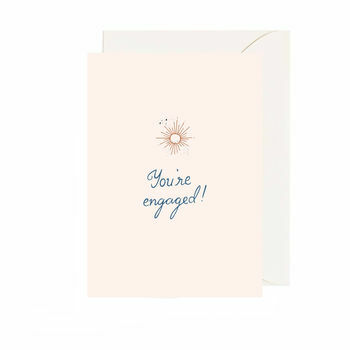 Light peach card, blue hand-lettering with star constellations. Printed on 340gsm. 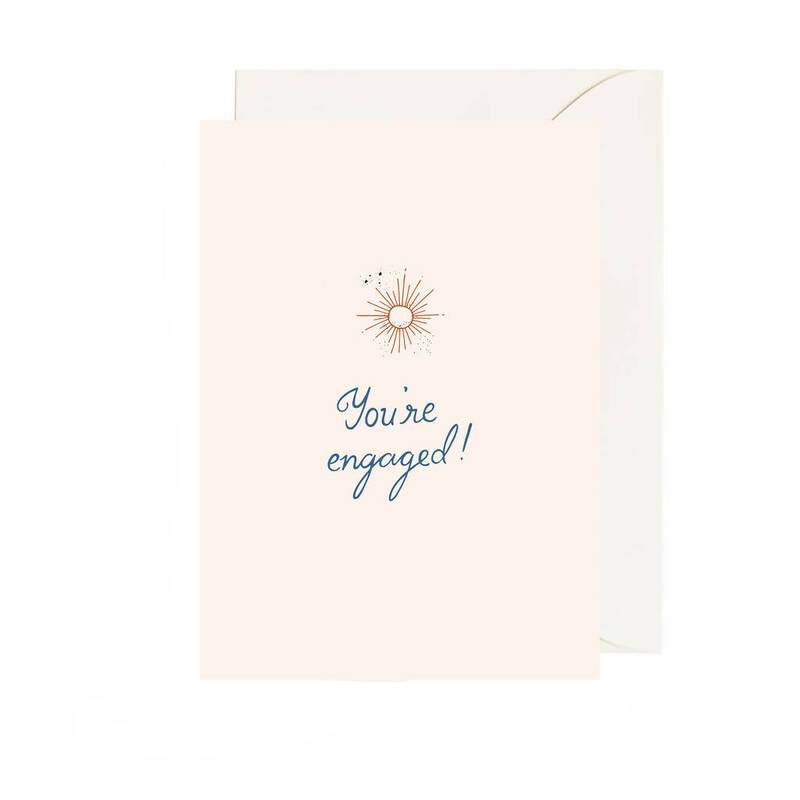 Supplied with a white 130gsm envelope with delicate gold details. This product is dispatched to you by Sonni & Blush Paper Co..
More items from Sonni & Blush Paper Co.